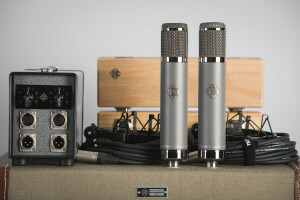 The R-F-T AR-51 was designed to incorporate the amplifier circuit of the C12 and ELA M 251E into a more affordable package than its Diamond Series counterparts. This circuitry has been a favorite for hi-fidelity stereo pair recordings for decades. 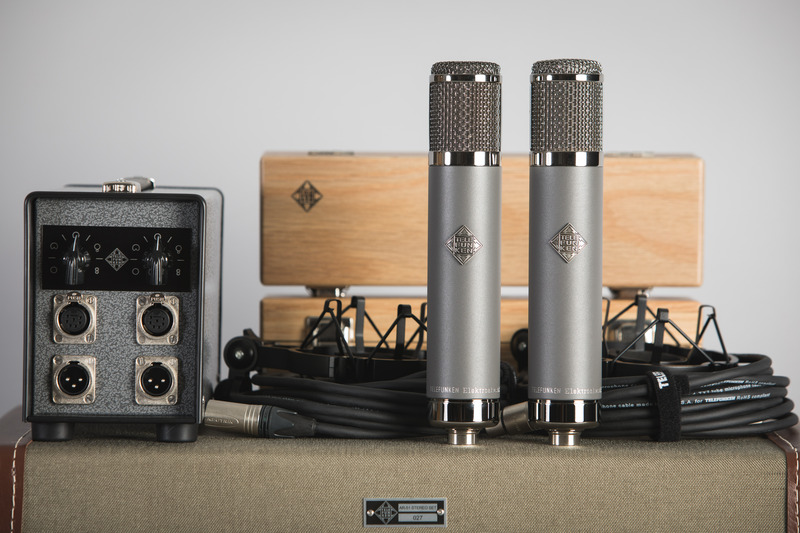 TELEFUNKEN Elektroakustik has taken this classic sound and developed the AR-51 Stereo Set. The Stereo Set comes in a custom locking flight case that carries both cables, shock mounts, microphones, wooden boxes, and an American-made dual-channel power supply unit. With a matched pair of AR-51’s, several stereo recording techniques can be executed for any source from drum overheads, acoustic guitars, piano and percussion to larger sources such as orchestras, choirs, and large chamber groups. The power supply offers a 9-position variable polar pattern switch for each microphone, making these stereo options that much more versatile. Stereo recording techniques include X/Y coincidental pairs with the microphones in cardioid, A/B spaced pairs with either cardioid or omni-directional patterns, and also the option of a Blumlein pair, with each microphone in a figure-8 polar pattern.